Remember, meditation is called a “practice” for a reason. When it comes to healthy living, we often tend to focus on our physical health, but our mental health is just as important for optimal well-being and happiness. One of the best ways to promote mental health is through meditative practices. Studies show that meditation can reduce stress, anxiety, promote self-awareness, emotional health, and can even support memory and longevity. Similar to healthy eating, there is no one size fits all approach to meditation either. Explore, experiment, and discover what works for you. Remember, meditation is called a “practice” for a reason. Treat this time as your mental “recess” and find a daily practice that relaxes and recharges your soul. 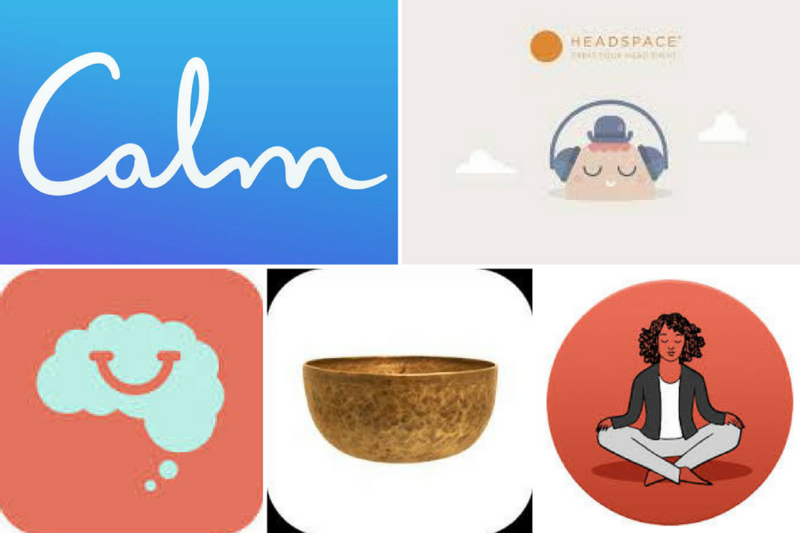 Lindsey Kane, Sun Basket Director of Nutrition, shares some of her favorite apps for slowing down and living in the moment. Learning to meditate is intimidating, which is why Headspace strips it down to the basics. A free version of the app takes you through a ten-day series of meditations. If you want more, join the thousands who subscribe for access to programs focusing on health, happiness, work, and even sports performance. Compatible with iPhone, iPad, iPod Touch, and Android. With guided meditations ranging from 3 to 25 minutes, Calm features week-long programs that are geared toward finding ways to cope with everyday stressors like work and family obligations. The app includes meditations for anxiety, concentration, happiness, and self-esteem that remind you to breath more and worry less. Insight Timer is home to thousands of guided audio clips uploaded by meditation instructors. If you don’t feel like doing a guided meditation, the app provides a timer and ambient sounds so you can get zen all on your own. Working from a checklist of options describing your emotional and your physical state, Stop, Breathe & Think will suggest meditations based on your individual needs to help you get back on track. Some exercises are as simple as counting breaths. The things that stress us out change as we get older, so The Smiling Mind divides meditation programs up by age. This app uses guided meditation to improve your mental health when you pack to go to college, train for a marathon, or settle into a new job.